Until recently it was known as the Southern Football League (SFL), but in a historic move it has now officially become the Southern Football Netball League (SFNL). SFNL member clubs voted in favour of the name change at a recent special general meeting. Barker Oval. Guests included Victorian Premier Daniel Andrews, Netball Victoria CEO Michelle Plane, beyondblue CEO Georgie Harman and St Kilda Football Club CEO Matt Finnis. From humble beginnings in 2012 with a mere 7 teams, the League netball competition has grown to 51 teams playing across six divisions in 2015. Following the success of the expanding netball competition over the last four years, there is a growing trend amongst member clubs to officially change their club names to incorporate netball, due to these clubs fielding both football and netball teams, League CEO, David Cannizzo explained. “The league netball competition in only its fourth year, has grown quickly. Netball now represents approximately 35% of total league teams and continues to expand year on year.” “We are really excited about this name change which we believe strongly emphasises our strategy to truly be an inclusive and diverse sporting association,” Cannizzo said. 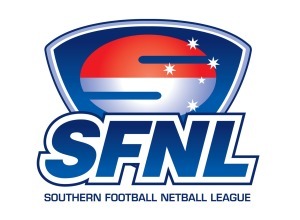 Complete with a refreshed logo acknowledging the tradition of football while also symbolising the evolving netball, the new SFNL continues to take a strong stand in its commitment to delivering high quality competitions across two of the most popular sports in Australia.